Adjustable, realistic-looking design makes this playing kitchen a favourite choice of most kids. Includes a chalkboard on the freezer. It comes without additional accessories. This is an extremely realistic modern kitchen. It is quite large and will be perfect for siblings or multiple children to play at once. Children phone. Has no additional set. But your kid can use ordinary utensils, as well as the toy ones. A large number of kitchen appliances allow multiple chefs to "invent" their culinary masterpieces. The knobs are a bit loose. This fully equipped attractive kitchen will surely appeal to children of different ages. 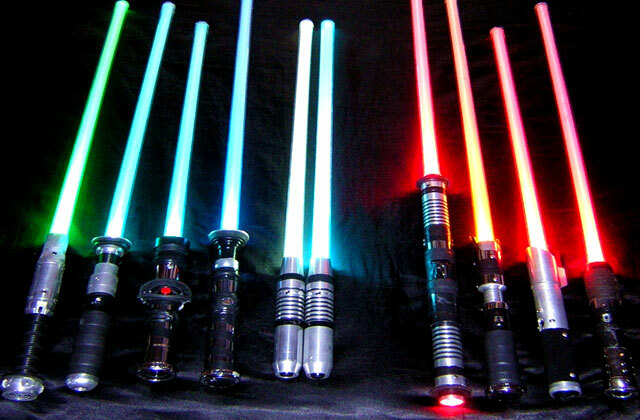 It comes in different modifications and colour options. This is highly realistic and durable kitchen which is very easy to clean. The kitchen is totally handcrafted! Its assembly may require some time. 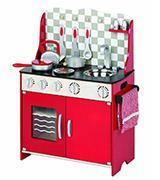 Modern kitchen equipment and a set of additional accessories will definitely delight your kiddie. Also available in white and espresso colours. It's extremely compact kitchen set which comes with all necessary kitchen utensils, and even a set of salt / pepper. 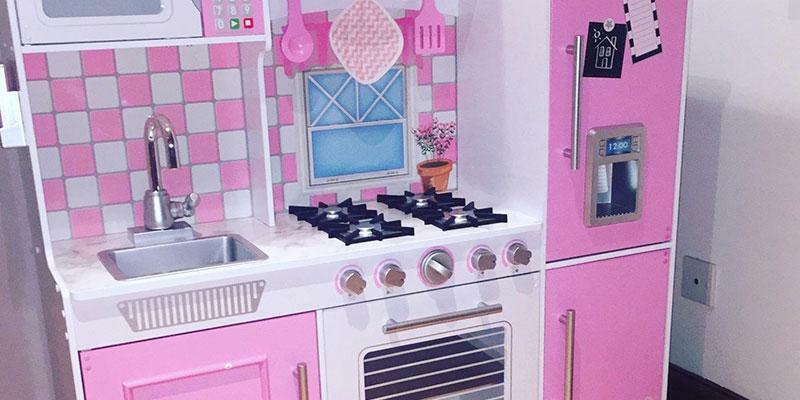 This bright kitchen will acquaint your kid with a cooking process in a funny way. Simple and convenient, it will be a great starting set for your little chef. 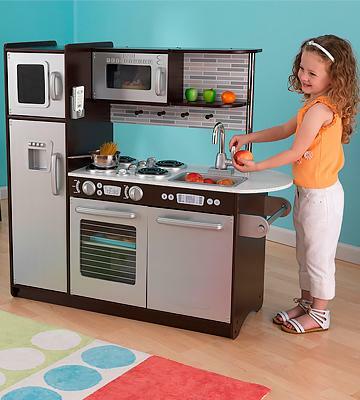 This playset comes fully-assembled, so your child can enjoy cooking just after shipping. This kitchen is ideal for transportation as it is foldable. Some customers claim that the oven door is taut. 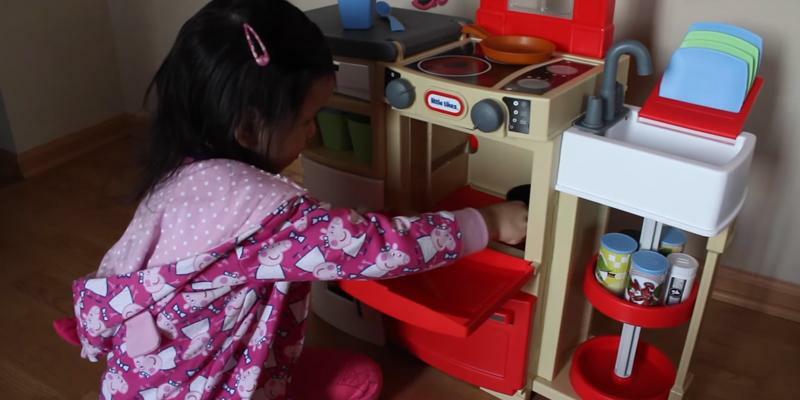 This portable kitchen is ideal both for toddlers and school-aged children. 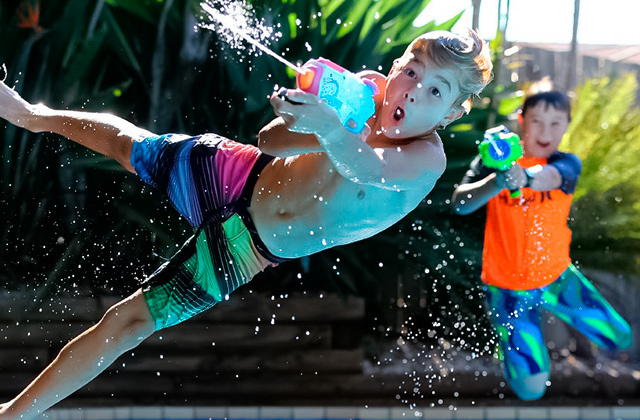 It has a bright design that encourages your kid to play more. The size of the KidKraft Uptown Espresso Kitchen - is 42.5 x 17.1 x 41 inches. It has a sturdy structure and a realistic modern design. It totally imitates the parents' kitchen. Due to its size, it also can be used by several kids. So, now the cooking process can be even more interesting and funny. The kitchen unit is quite big in size, and hence, can easily be used for several years. 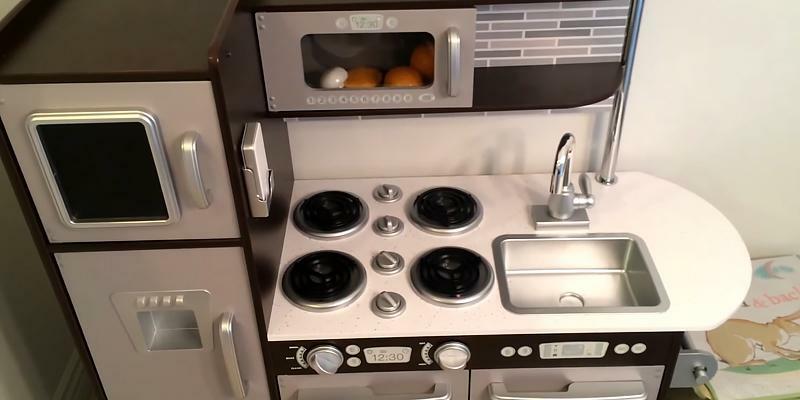 This kitchen differs from the other play kitchens for kids. It is made of quality plastic and MDF. This combination of wood and plastic components makes it look like real brand-new kitchens. The colors are neutral. This makes it a good fit for parents with multi-gender children. 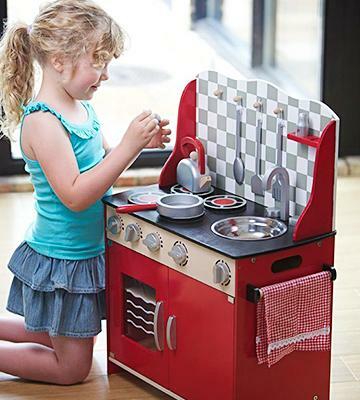 With no shade of a doubt, your little chefs will be delighted to try out this set and cook their first invented meals. 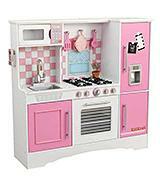 It is one of the best kids play kitchens. KidKraft Uptown Espresso Kitchen is equipped with all necessary appliances for cooking delicious meals. It contains a microwave, an oven, a freezer, a refrigerator and even a dishwasher! These appliances are all able to produce the cooking sounds. Thus, the game may turn into a fascinating and delightfull process with a rich buffet of positive emotions. Unfortunately, this model comes without any set of utensils. 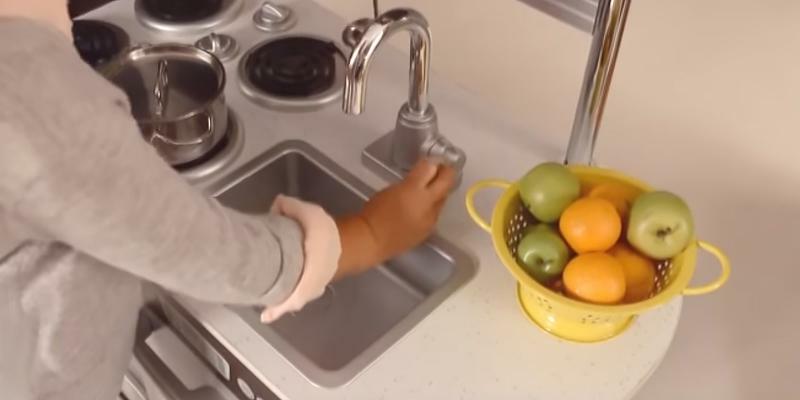 But, you can purchase KidKraft Deluxe Cookware Set (11 realistic items) separately and put it above the sink! 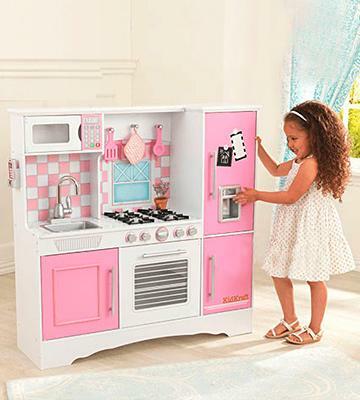 This bright and realistic kitchen is a perfect gift for children who love watching their parents cooking. The kitchen is pretty large, so even multiple children can "cook" simultaneously. 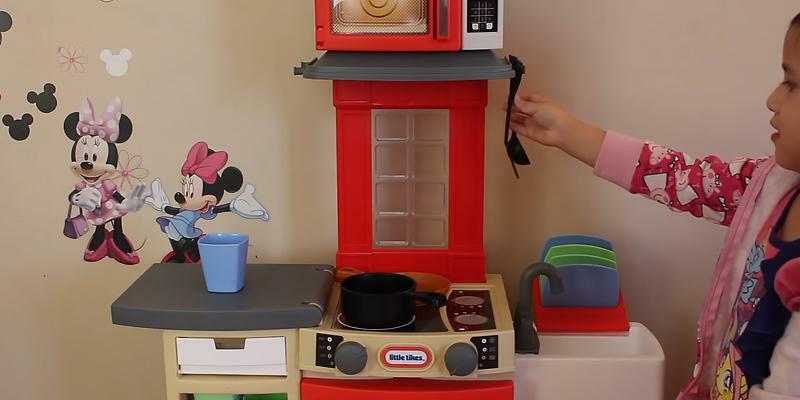 The kitchen boasts a true-to-life stove, a microwave, a dishwasher, a washing machine, a sink with a tap, a toy clock, and a kitchen cabinet for toy dishes or/and "food." A large comfortable tap valves can twist, thereby giving your child an opportunity to recreate the process of cooking or washing dishes. All items are labelled with the numbers and letters, so following the instructions, you can quickly assemble the whole kitchen. Bright colours and great functionality will bring your child unforgettable moments and inspire him/her for cooking new tasty "meals"! Note that the kitchen is made of eco-friendly and safe material - natural wood, and covered with non-toxic paints. Safety first is safety always! To make a game as realistic as possible, it is necessary to buy a set of play dishes. With numerous kitchen utensils at hand, you might have hard time to recall your child from a play. Your child feels like a real cook since a very tender age? 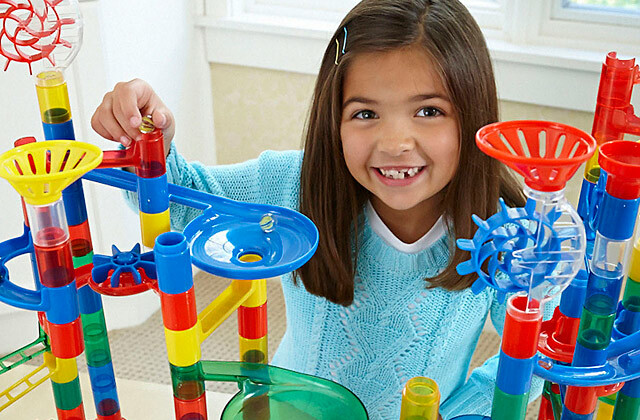 If so, your budding cook will love the Kidkraft culinary kitchen, a very nice kitchen set including all necessary kitchen equipment to make a game as engaging as possible. A modern refrigerator, a microwave, an oven, a dishwasher, a sink with a tap, an icebox, and a rotatable interactive hob. It has just everything for cooking the perfect lunch! In addition, the children's kitchen is equipped with a telephone on the side panel, and even a spatula, a mixing spoon and a pot holder. So, if you don't want your children constantly beg for more and more utensils, get this complete kitchen set. 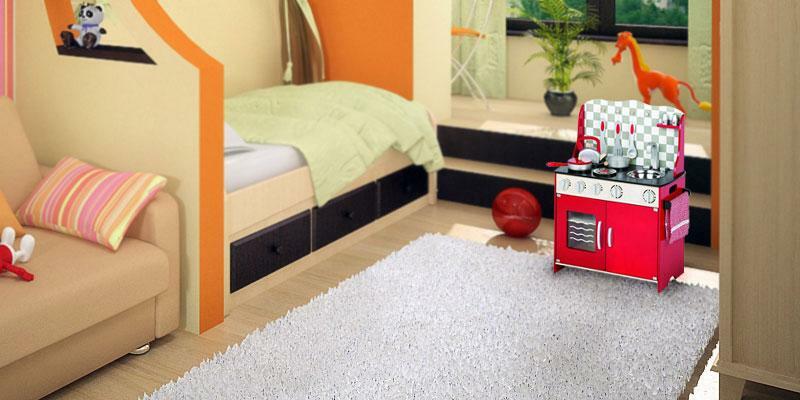 All Kidkraft kitchens are made of composite wood which is totally safe for children. 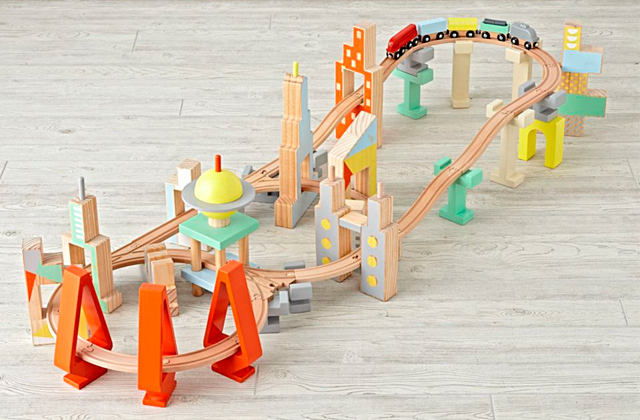 Plus, the Kidkraft wooden toys are handmade, which makes every kitchen so special. A stylish design and pleasant colour schemes will ideally fit any nursery! 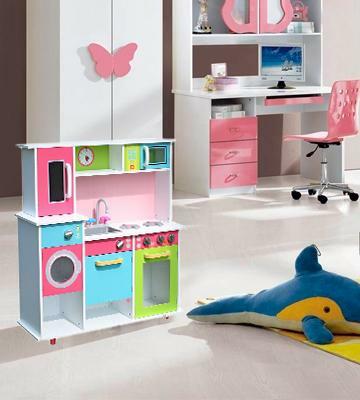 Children who love playing with dolls will surely be super happy to own a dollhouse. Small Kitchen with Huge Possibilities! If you want to please your young cook with a play kitchen but don't want it to take all free space in a nursery, the Tidlo Kitchen Station is exactly what you need. 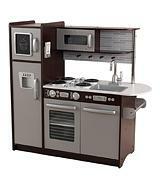 It is a very compact kitchen yet containing all necessary kitchen equipment for an exciting game. The Tidlo Kitchen Station includes a stove, a sink with a tap, and a large set of utensils (a frying pan, a pot with a lid, 3 cooking utensils, a kettle). This lovely kitchen comes even with 2 condiments and a tea towel! Well, this kitchen has everything for developing kid's imagination. Children can, for example, "wash" dishes in a sink, "fry" chips in a frying pan, or "heat" water in a kettle for a tea ceremony. Just like their parents! This kitchen has the right size for small children (3+) and is not too big for small nurseries. 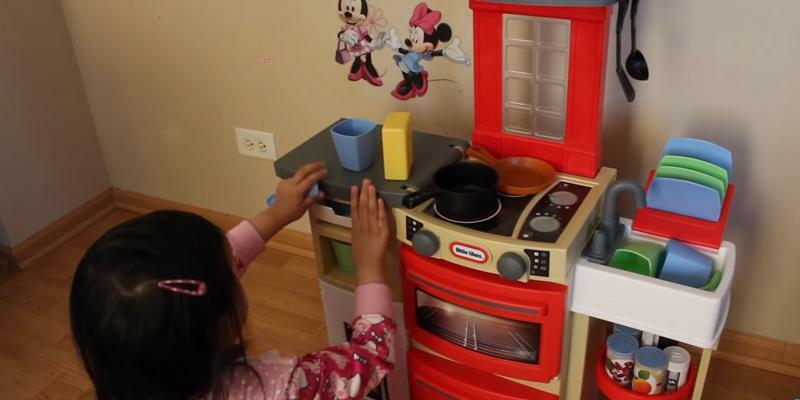 It takes minimum space yet entices kids into "cooking" for a long time. The Tidlo Kitchen Station is well-built and looks really smart, thus, will last for years! 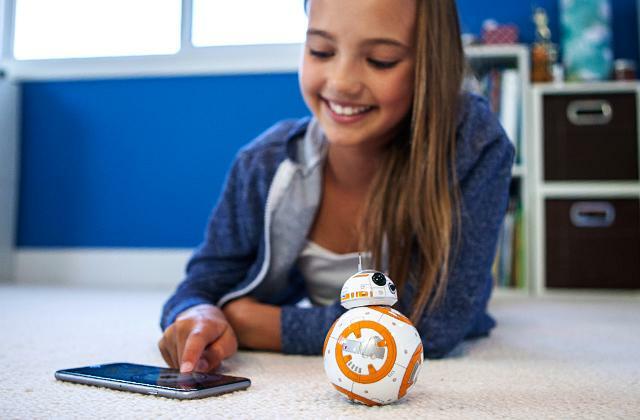 Have you noticed that your kid's attracted to realistic toys? 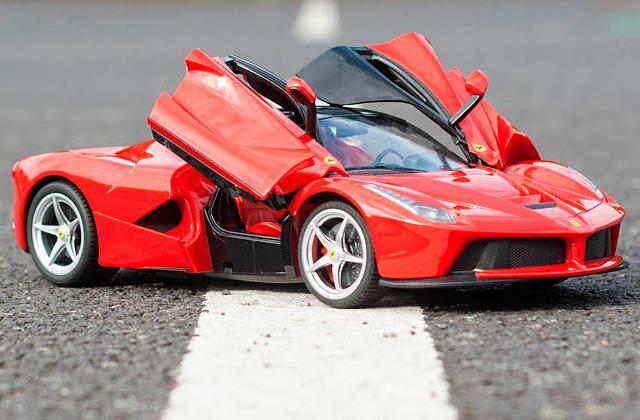 Get one of the ride-on cars that look just like real cars! 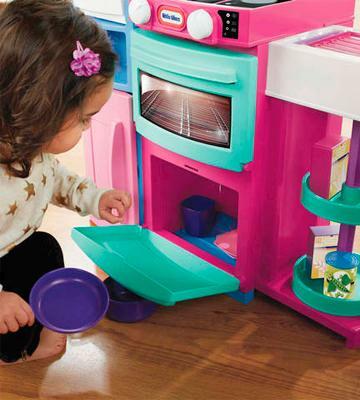 Toy Kitchen Little Tikes Cook 'n Store is one of the most portable play kitchens for toddlers. It has a pretty small size - 13.3 x 11.1 x 29.4 inches, so it fits perfectly in any nursery. What's more, once folded, it is even more compact, allowing easy storage or transportation. As the manufacturer claims, it can be used even by the smallest babies from 18 months. Wow! But its attractive colorful design and its realistic construction will be also interesting for older children up to 8 years. The kitchen and all the accessories are made of high-quality plastic that is impact-resistant and non-toxic. 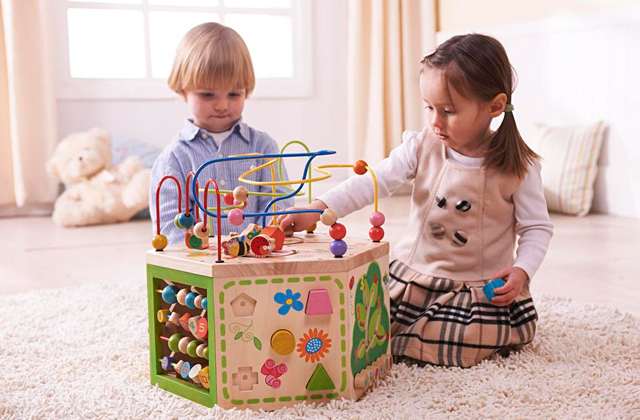 Plastic has unique physical features and that's why it is the most demanded material for the children's toys. The kitchen has a smooth, shiny surface without sharp angles. 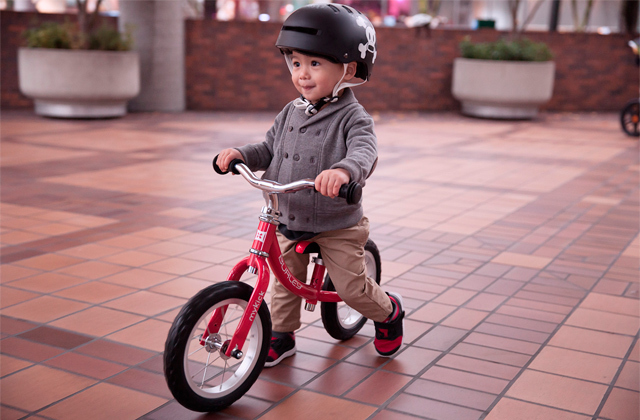 So you don't have to worry about the safety of your child. The parents will surely appreciate this plastic kitchen as it's easily washed with just soap and water. Note that this kitchen is available in pink or red color. 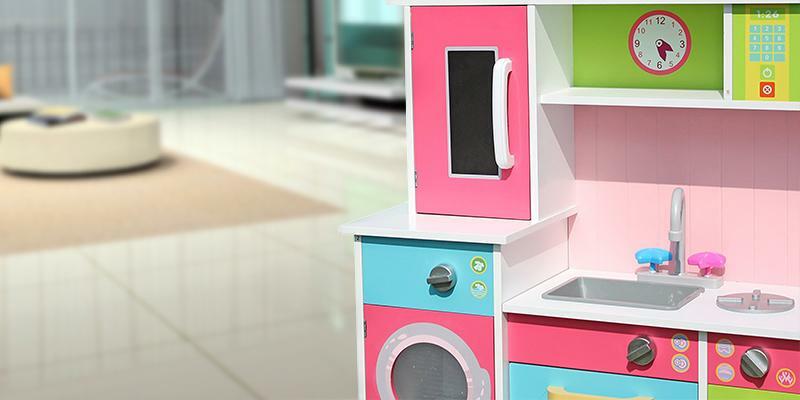 This toy kitchen will surely impress you with its functionality. It has all the essential kitchen equipment - oven, hob, microwave, refrigerator, and sink. Also, this kitchen playset provides plenty of storage space - rotating shelves, cupboards, and shelves over the refrigerator section. And unsurprisingly the kitchen comes with 32 additional accessories, including a frying pan, cups, plates, spice jars, food containers, and so on. 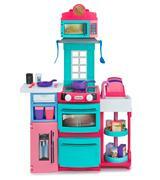 All in all, playing with this child's kitchen, your kid will learn how to be organised and accurate. What is a Play Kitchen? Playing with the kitchen is not only exciting! The process acquaints your baby with a variety of food and the peculiarities of kitchen appliances. The play kitchens also cultivate the thrift and carefulness. Besides, if a mother plays with her baby, she can teach a child some rules of etiquette. But the most beneficial thing is that a play kitchen can provide your kid with some private place, where he or she will like to spend some time. In this review, we will compare some of the best models of play kitchens on offer. 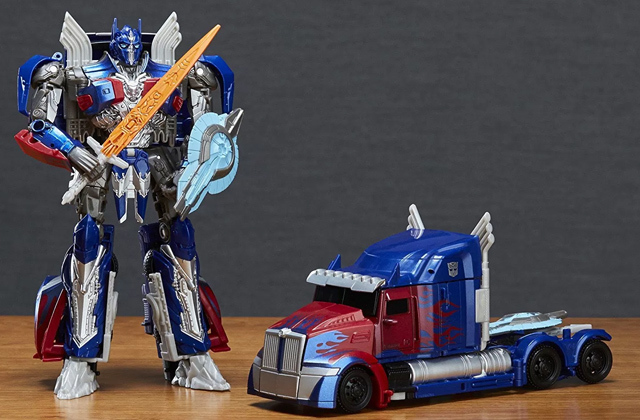 We also recommend you to pay attention to some other interesting children's products such as tricycles and our review of car model kits for young sportsmen and collectors. Children's kitchens come in different designs and sizes. So, our advice is to choose kitchen Size according to the child’s height. 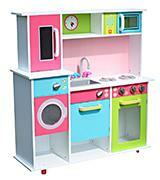 The play kitchen is equipped with many kitchen appliances such as an oven, microwave, sink, etc. Usually, it comes as a single unit, normally set along the wall. Such kitchen will ideally fit in a small room. But there are also kitchen corners, or even camping kitchens for barbeque. 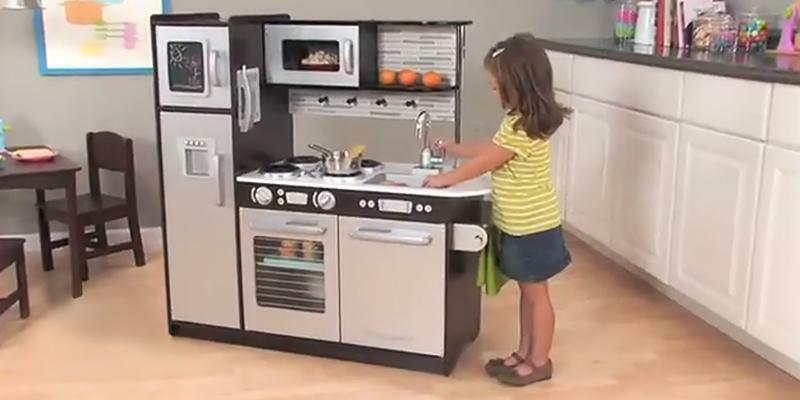 Children kitchen island – is a small toy kitchen which can be installed wherever you want. Thus, your kid can play with it even in the middle of the room. It is also equipped with all kinds of kitchenware. Such model is very mobile and you can always take it with you on a trip. Portability and mobility are the main features that make small kitchens so popular among buyers. As all children like to imitate adults, give your child the opportunity to emulate your behaviour in the kitchen. We can assure you that you will never be upset because of broken dishes since all kitchen elements are made of quality plastic. Some models have got adjustable legs so that the height of a kitchen can be customised to the needs of your child. You can buy such unit for a 2-year kid and be sure he or she is going to play it for long years. While choosing a children kitchen, take into account its Material and the quality. Children kitchens can be made of wood or ecological plastic. Of course, the wooden models look more natural, but their surface requires proper care. The wood should be well polished, smooth and pleasant to touch. Plastic models should have no sharp corners. Make sure that your kitchen unit doesn't have a specific chemical odour and is strong enough to last longer. We also recommend you to pay attention to the Extras, since they play an important role. The extra functions are able to make the game more exciting and realistic. They include imitation of cooking in a frying pan, the call of a kitchen timer, the hiss of appliances, the sound of a microwave oven and so on. 1. How to Choose the Right Play Kitchen Set for Your Kids, eBay. March 3, 2016. 2. Snehal Motkar How to Choose a Perfect Play Kitchen for Your Little Chef at Home, Buzzle. August 23, 2016. 3. Lisa Wells Designing a Dream Play Kitchen, Hayneedle. July 21, 2015. 4. 20 coolest DIY play kitchen tutorials, It's Always Autumn. October 23, 2015. 5. How to Make Soap Bubbles for Your Children, wikiHow.